It’s been just over two months since we took on our little oasis amongst the patchy quilt-work of brown, green and plastic sheeting. When we first considered taking on this organic nirvana, we knew we wanted to grow, nurture and eat our successes.. and failures. We were to embark on a huge learning curve. But what has really been an eye-opener is just how wonderfully friendly people are in this corner of the world. As you pass through the main gate, I’m not barred from entering by a stern Gandalf throwing down his majestic hoe with threatening tones of ‘None shall pass!’ Instead I’m greeted with ambitious artists creating, weaving, shaping their canvasses into little portraits of wonder and satisfaction. Between allotmenteer and local council, an ancient pact has been written to which we, the guardians of God’s good earth, have been chosen to bring prosperity to our five poles of brown gold. But whilst toiling away, there’s always a moment when you look up and accidently make eye contact with a fellow allotmenteer. In most daily situations we do our best to ignore these uncomfortable human hiccups (Try ten minutes travelling on London’s Central Line tube). But here it seems unnatural to bypass the moment. So we smile, wave and offer a thumbs up to our dedicated neighbours. There have been several occasions when one of these strangers has actually walked onto my plot with no ruse or hidden agenda but only to talk and get to know me. We offer names, share tales of allotment goals and part to return to our toil. But now we are so much richer. A simple ‘how are you?’ from a stranger, can be all a person needs to put a spring in their step and restore faith in ‘how lucky we are’..
Now how do we apply this positivity beyond the allotment fences? So true. 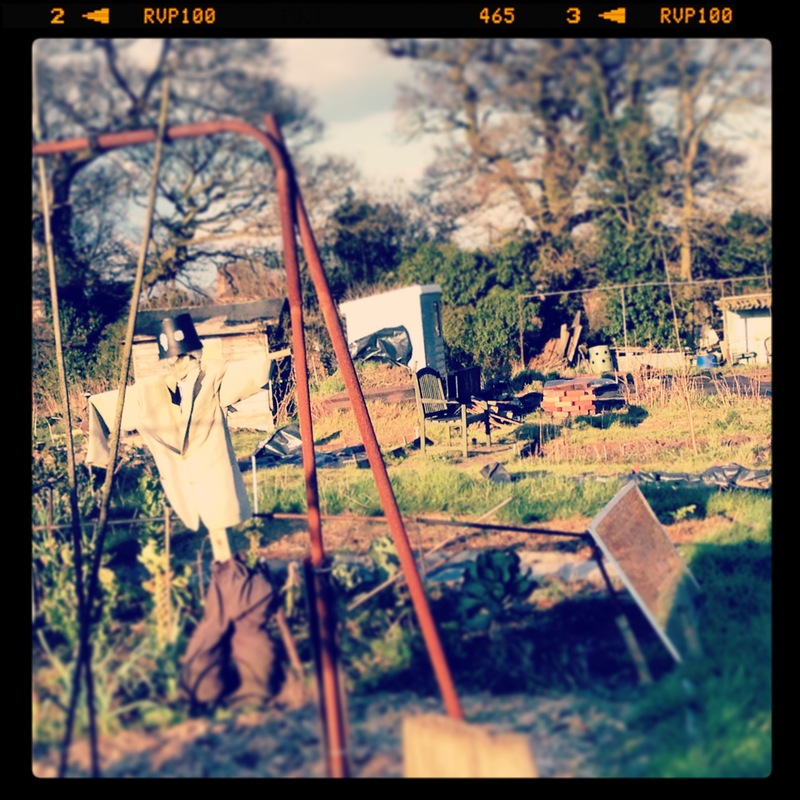 I love the community of allotmenteers. Always willing to share excess produce or plants or lend a hand to help move something. Wonderful way to live. Indeed. We’ve been particularly surprised with the friendliness considering we’re on the outskirts of London – where folk have a reputation for being unfriendly! It is the beauty of being with like minded people. I am in ‘you be strangers round ‘ere’ territory or where the menfolk don’t talk to women without being introduced first. New plot. New challenge. Sounds great!